Welcome to Marquis Pest Control! Our goal at Marquis Pest Control is to provide a personalized, high quality service to meet your pest control needs. We service residential and commercial clients in the greater Phoenix Metropolitan area including Mesa and Tempe. We take care of all types of pest control issues: scorpions, ants,bees,rodents and other general pests with kid and pet friendly pest control treatments. Jeff has been in pest control for over 10yrs. 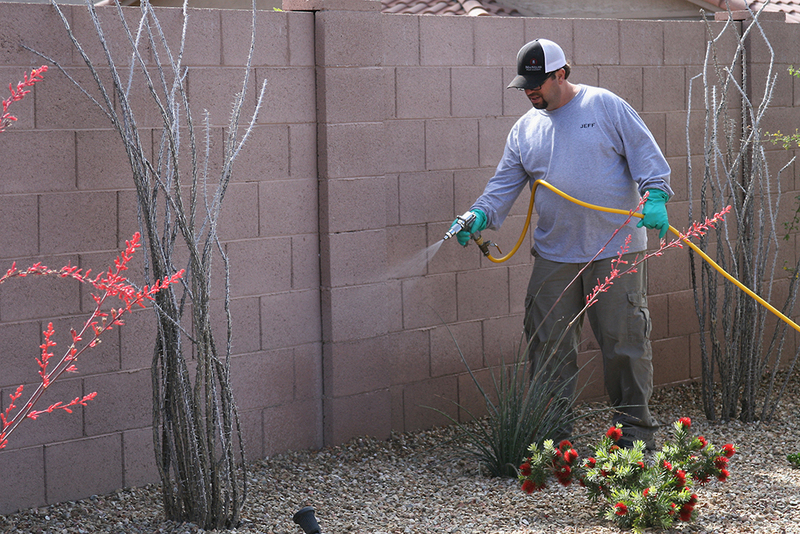 He has serviced many areas around the valley -North Scottsdale, Cave Creek, North Phoenix , Central Phoenix, Avondale, Tolleson, Litchfield, Mesa, Tempe, and Gilbert... This gives him a very extensive knowledge base of what kind of insects or rodents can affect your area of living. We take pride in using products that are effective while ensuring the safety of your family and pets. Call today and he will set up a personal service just for your home. Owner/Operator Jeff Marquis lives in Phoenix AZ with his wife Stephanie and their two children, along with their two Boston Terriers Avie and Willie.